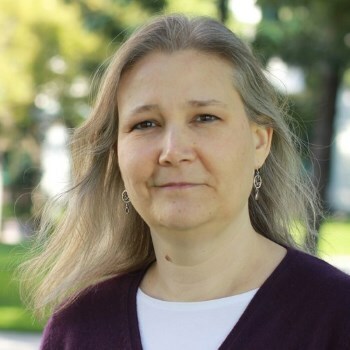 Amy Hennig, the Uncharted creative director who left Naughty Dog under a cloud last month, has joined EA's Visceral Games to work on a new Star Wars project. Amy Hennig, the creative force behind the Uncharted franchise, left Naughty Dog early in March amid rumors she'd been forced out by Neil Druckmann and Bruce Straley, the lead developers on The Last of Us. Naughty Dog denied the accusation but the whole affair was tinged with ugliness, especially since the actual reasons behind her decision to leave have never been made clear. Regardless of her motivations, she wasn't out of work for long, as Electronic Arts announced today that she's joined its Visceral Games studio. "Amy has long been recognized as one of our industry's top visionaries, and is coming off an amazing run as the Writer and Creative Director of the Uncharted franchise," Visceral Games General Manager Steve Papoutsis wrote. "As both a colleague and friend, I've always admired her approach to creative development - focusing on nailing down the soul of a game first, and then making sure the writing, the gameplay, the design and the art comes together to form a unified, interactive experience for the player." Papoutsis said Hennig had multiple studios express interest in signing her up, but Visceral is making a Star Wars game and Hennig is a "huge" Star Wars fan. It was, as they say, a natural fit - "Just thinking about the possibilities made both of us even more excited about having her join the team," Papoutsis wrote. Details about Visceral's Star Wars game remain shrouded in secrecy, but the addition of Hennig as creative director is certainly a promising development.